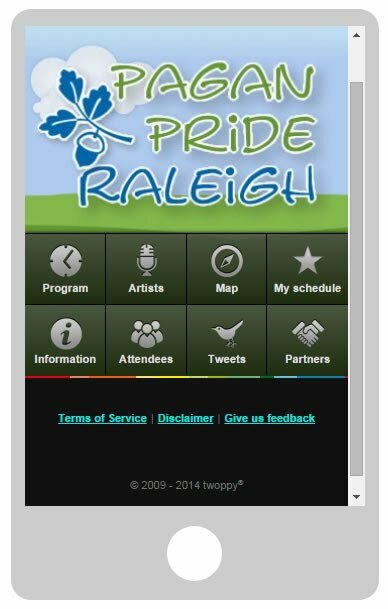 What Happens at Pagan Pride Raleigh? Admission each day is an item for the Food Bank of Central and Eastern NC. The Central NC Pagan Pride Days Festival attracts more than 3000 pagans, pagan friends and the pagan curious every year. Open to the general public, this autumn celebration offers two days of both entertainment and education through social, commercial and spiritual activities. All are welcome to join or observe rituals, attend workshops, meet local groups, and much more, all in a festival environment full of vendors, music, and fun. And don't forget the Food Drive, the Blood Drive and introducing the Pet Drive! I'm so excited for this years PPD festival! Last year was my first year and I fell in love with everyone! The workshops look amazing and I can't wait for it to start! Thank you all so much for volunteering your time and hard work. I just wanted to send you a message and tell you how much I enjoyed going to the festival both days! I came with my friend who had not come to one either. We had a lot of fun and felt completely at home. ... Thank you again for welcoming us to this with open arms. It was wonderful!" This will be my family's third time attending the Pagan Pride Day and we are very excited. I love this community and we will be back next year even if it does mean traveling 800 miles to do so. All over the world, local coordinators host Pagan Pride celebrations around the Autumn Equinox. Pagan Pride Day fosters dignity in Pagan identity through education, activism, charity, and community.